At Makers Empire we are continually testing different 3D printers in our office – we probably have the printers running 30 hours+ a week. These printers mostly fall in the $1,000-$2,000 range as we want to test the latest printers for their suitability in terms of schools. A bigger bed means you can print bigger prints. A bigger bed also means you can print more students’ work at the same time. This is important because setting up to do a print run is time consuming so the more you can do at one time the better. 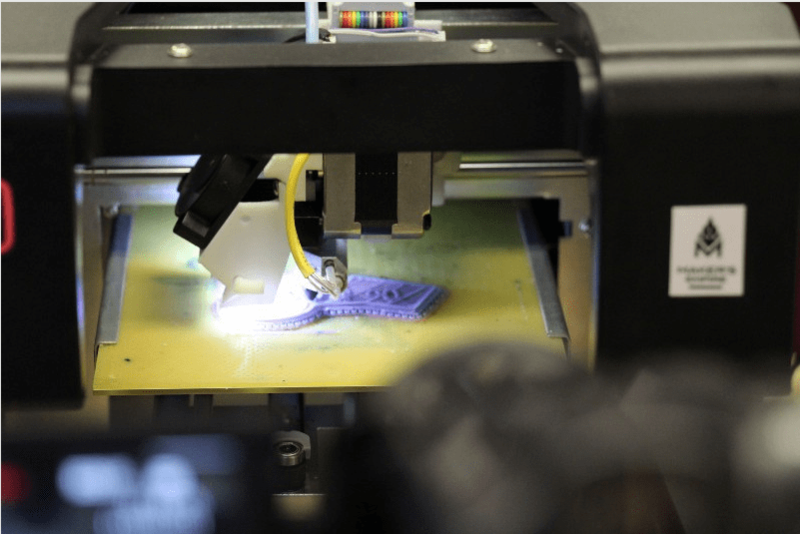 Some machines require the user to calibrate the bed – this amounts to putting a piece of paper on the print bed and using the software to gradually move the print bed towards the nozzle until it touches. It takes about 10 minutes. Automatic calibration is available on many machines and we believe it is well worth the extra few hundred dollars more. With 3D printing there are already many things to learn and some things that can ‘go wrong’ so any help you can get is worth it. Most consumer printers print ABS and PLA plastic. ABS is made from oil and is more toxic than PLA which is made from corn starch. Choose PLA in locations with no fan or extraction, although many places use ABS, too. Ensure you know how much the filament costs – $35–70/kg for ABS/PLA is normal. Some proprietary printers only work with their own filament which costs much more. Ask your supplier how much genuine or well tested non-genuine filament costs. Is the software easy to use? Is it very configurable and powerful? Unless you are very technical we would suggest going for ‘easy to use’ software over power as your first foray into 3D printing — there is enough to learn already! Understand that many 3D printers are ‘open source’ and built for hobbyists and DIYers who want to spend a lot of time digging around software and hardware, modifying their printers and understanding from the programming code upwards how it works. There are more difficult to use but give you more control: 3D printers that use the open source Cura and Repetier programs. An enclosed printer is safer. Some will even stop if the door is opened. This can be very useful in a pre-K/elementary setting. We are beginning to see printers with built-in HEPA air filters. If your printer is not located in a well-ventilated area, this can be a great alternative and maybe an OH&S requirement. Buying a 3D printer can be confusing so we hope the above tips and suggestions help you make an informed purchase. Hit us up on Twitter at @makersempire if you have any more questions.